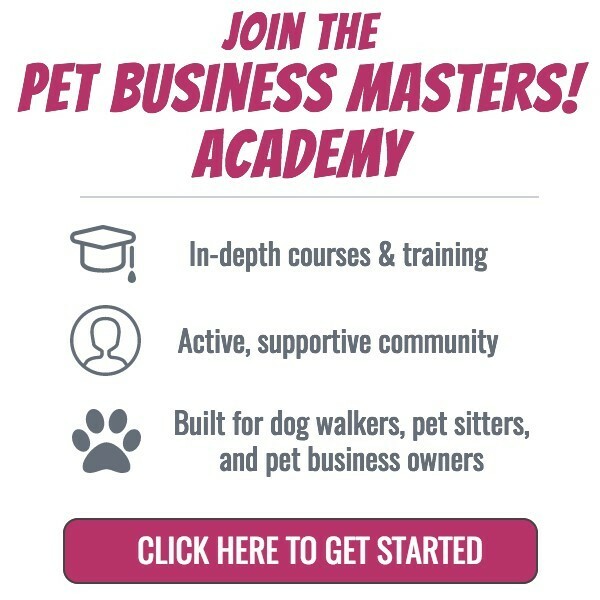 How To Get Dog & Pet Sitting Jobs - Pet Business Masters! Keep in mind that this is based on my decade of experience working in Human Resources where all I did all day every day was interview and hire people. Beyond that, what I'm about to tell you is further based on my pet care company hiring over 100+ staff members for our own dog sitting and pet sitting jobs (and interviewing many, many others who did not make the cut). I can definitely tell you that there's a "right way" and a "wrong way" to go about this. The first key to getting pet sitting jobs that you'll love is to understand exactly what the position is actually all about. If you don't love what you'll be doing, then there's no reason to actually apply. First, pet sitting jobs may require you to work with all types of animals. So, are you comfortable working not only with dogs, but also with cats, birds, rabbits, turtles, fish, and/or other domestic animals? For dogs specifically, are there any breeds, sizes, or temperaments that you know you do not want to deal with? And, will this position include dog walking job responsibilities or is it more of just an in-home care type thing that's traditionally more of a "sitting" role? Second, understand that the typical dog and pet sitting visit is going to take place 3 times per day; once in the morning, once in the afternoon, and once in the evening. So, are you available at these three times of the day? 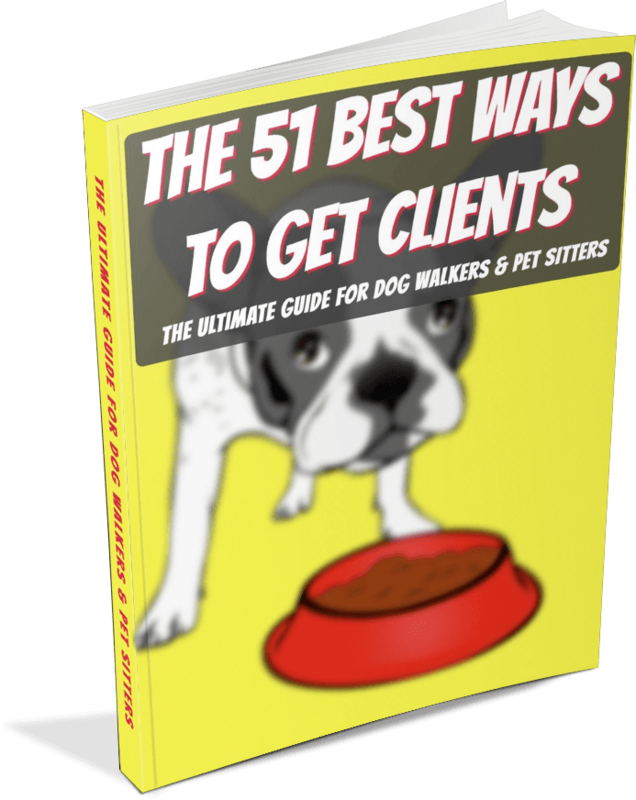 Third, it's crucial to know that you'll be working on weekends and holidays since this is when many of your clients will be away from their pets and will need your help. Fourth, are you proactive, prepared, and responsible? You'll literally have lives of these animals in your hands. There won't be anyone there on the job with you. So, if something goes wrong, are you the type of person who can keep calm, think through possible solutions, make a decision, and then take action to keep the pets safe (and alive)? This step is the only opportunity you'll have to either be considered or get rejected. Take some time to apply correctly so you don't blow it before you even have a chance. 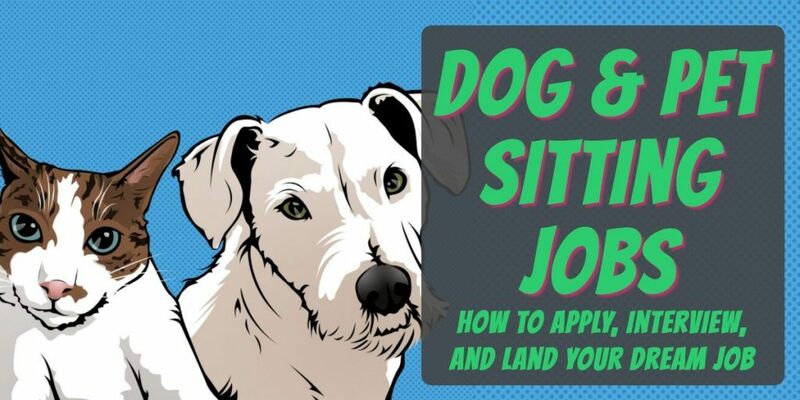 For most dog and pet sitting jobs, the first step is to apply online via a simple form with your basic contact info and maybe some additional details. They may or may not request a resume at this point. Make sure to read the entire job description from top to bottom. Notice what the most important aspects of the job are. Does the employer stress anything important such as levels of experience, days/times they need you to work, or locations you'll need to be able to cover? Have they requested that you do or say anything specific in your application, such as acknowledging that you're available on certain days or that you've attached the proper document(s)? Once you've read the description and know what they're looking for, take the time to properly provide them with exactly what they requested. Don't skip anything or provide more than what they asked. The most important thing you can do is make sure to be clear on what you can do for them. Our initial application form that I use in my own company asks just one question other than asking for contact details. We ask "why are you interested in this job?" I can't tell you how many applications we receive that answer that by saying something like "I need extra money" or "this seems fun" or "I want a part-time job." The dog and pet sitting company you're applying to wants to know what's in it for them. They want to know that you're reliable, that you love animals, and, hopefully, that you have some personal or professional experience regarding the job you're applying for. With a self-serving answer of what's in it for YOU, you're guaranteed to go right into the "delete" folder. Don't be afraid to follow up with the company. After you submit the application form, see if there are any emails or phone numbers you can use to contact them in another manner. If so, wait 24 hours and then follow up with the company via phone or email if you haven't heard anything back. Wait another 48 hours. If still nothing, try one more time. If you don't hear anything after that, the company probably does not have a need for you right now. If you don't get a call back right away, don't fret. Keep in mind that the nature of dog and pet sitting jobs is that they're in demand at seasonal times of the year. During holidays and summer vacations, this type of need will be in high demand. So, although the company may not be able to use you right now, perhaps they'll keep your information and call you back once they have more of a need. You've made it past the application and they've requested to talk with you. The first step is often on the phone. Be prepared that this is often a preliminary "weed out" call. They're looking foremost at reasons NOT to hire you and assuming that you're not going to be a fit for them. That's why they've only dedicated 15 minutes on the phone instead of an hour of meeting in person. So, take this opportunity to prove why you're worth meeting in person. Be available at the time they requested, speak clearly, and STAND UP during your conversation. They won't see you standing since you're on the phone but your voice will sound stronger and more authoritative if you're standing vs. sitting. Whether you're on the phone or in person, here are some other great interview tips for you. Be on time. Yep, I know that sounds pretty basic, but you'd be surprised at how many people can't even do that. Look the part. Someone is hiring you and giving you the keys to their clients' homes and putting the care and safety of their animals in your total control. They need to trust you, so look trustworthy. Wear nice clothes, be clean, and visually look professional. Say the right things. Remember, they care most about what's in it for them. Specifically, here's what they really want to know: that you're going to show up on time, that you can handle problems and proactively find solutions on your own, that you're not going to steal or otherwise peruse clients' belongings, and, of course, that you're going to treat the animals like kings and queens. Speak with confidence. If you sound weak or untrustworthy in the tone of your voice, they'll think that you are these things. To help avoid that, sit up straight, speak clearly, and show some enthusiasm. The way you say things and how you sound are equally as important as the words that you're actually saying. Here's a killer that most people forget about, even the highly-paid executives I used to interview. If you don't let the employer know that you're interested, then you force them to guess. You don't want them to guess. You want them to KNOW that you're available, excited, and interesting in starting. Here's how to ask for the job. Say: "Mr. Jones, I like what I've heard so far and I'm very interested in your pet sitting jobs. I understand the pay and the requirements. I'm available to start on (fill in date). Will that work for you?" As you can see, this isn't rocket science. Hopefully I've helped you but you're probably not shocked at what I've said here. It just sounds like common sense, right? Well, most people somehow forget common sense when it comes to getting a job so if you do even half these things, you'll be far ahead of 95% of the people you're competing with. PS - let me know in the comments below any other questions you have about how to get an awesome job like this!